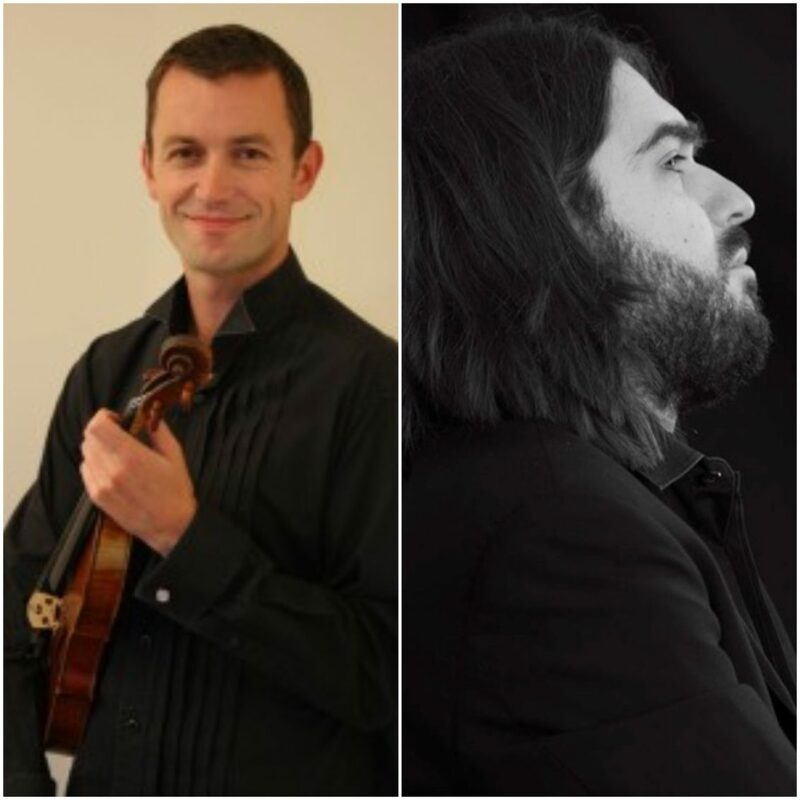 An established duo much in demand in London and the South east, British violinist Oliver Nelson and Greek pianist Vasilis Rakitzis, present a recital including works inspired by the folk traditions of their respective countries. The programme features Vaughan-Williams’s pastoral idyll of 1914 The Lark Ascending as well as Konstantinidis’s picturesque Petite Suite sur des thèmes du Dodécanèse of 1947. The recital will culminate with one of the repertoire’s true masterworks, the D minor sonata by Brahms. Oliver Nelson was born in Glasgow and began learning the violin at the age of six. He gained scholarships to both Canford School and the Royal Academy of Music. During this time, Oliver studied the violin with Xue-Wei and conducting with Denise Ham. His achievements include winning the Academy concerto competition, appearing as soloist with its string orchestra and the building of duo and concerto repertoire with engagements throughout the UK and abroad. His appearances range from recitals at St. Martin-in-the-Fields and concertos with the Royal Oman Symphony Orchestra. He is in demand as a recitalist with Vasileios Rakitzis, Roy Stratford, Nigel Hutchison and Andrew Ball. Oliver is regularly involved in teaching, coaching and lecturing. Greek soloist and chamber musician, Vasilis Rakitzis, is a Doctor of Musical Arts from City University London and the Guildhall School of Music and Drama, and a graduate of the Royal Academy of Music and the Conservatories of Athens and Amsterdam. A pupil of Popi and Maria Efstratiadis, Martin Roscoe, Naum Grubert, and Caroline Palmer, he also participated in masterclasses with Paul Badura-Skoda, Boris Berman, Martino Tirimo, and Leonidas Kavakos. Vasilis regularly appears in piano recitals and chamber music concerts in Greece and England, and he has also performed in the Netherlands, Germany, and Italy. As a concerto soloist he has performed with the State Orchestras of Athens and Thessaloniki, the National Radio Symphony Orchestra of Greece (E.R.T. ), and the Symphony Orchestra of the City of Athens. Vasilis was a prizewinner in national and international competitions, and he was awarded the prestigious ‘Eleni Tim. Mykoniou’ prize by the Academy of Athens. He currently resides in London and also teaches piano at The Royal School and the Hindhead Music Centre in Haslemere (Surrey, UK).